Christmas will be here in just 6 days, and for the first time ever I don’t feel stressed or rushed to finish an endless to-do list, visit every store in the area, or stress out about last minute gifts. We decided this year to keep things really simple, making just a couple of handmade gifts for our closest family and friends. And instead of going crazy with presents for the kids, we purchased just one item for each of them (Piper, Legos. Londyn, a new bed comforter. ), along with giving them the gift of travel. Instead of focusing on crossing off a to-do list the week before Christmas, I created an advent calendar to help us enjoy a daily activity of togetherness or kindness in the days leading up to Christmas. The advent calendar has brought intentionality to the past 19 days, and allowed us to enjoy a piece of Christmas each day. I’ll definitely make an advent calendar again next year. My family has loved the activities on the calendar, and I feel like Christmas has been extra special, simple, and intentional this year because of this calendar. Before Christmas Day, I want to share two more recipes with you: a seasonal mask and a seasonal quick bread. These recipes will be the last two recipes shared on Live Simply in 2017. At the end of each year, between Christmas and the start of the new year, I take a short break from the blog to spend time with my family and focus on the future of the blog in the new year. In 2018, Live Simply will be five years-old, which is incredible for a blog. It takes a lot of work to consistently publish blog content, interact on social media, share my life via Instagram Stories, and develop quality recipes that work. I love every second of this work. I also look forward to a break away from my computer and kitchen. The holiday season is the perfect time for me to do this. It’s a wonderful time for me to rest, recharge, and refocus. 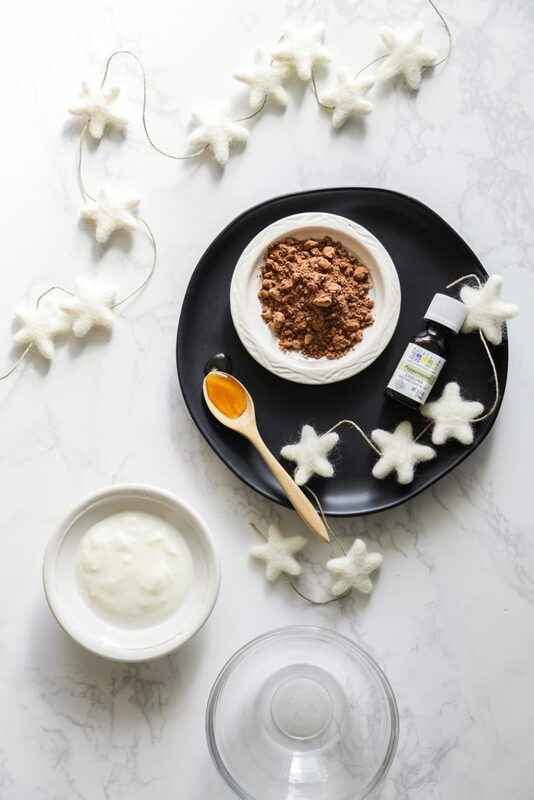 Today’s recipe, a do-it-yourself seasonal facial mask, is the perfect way to practice caring for yourself during the holiday season. 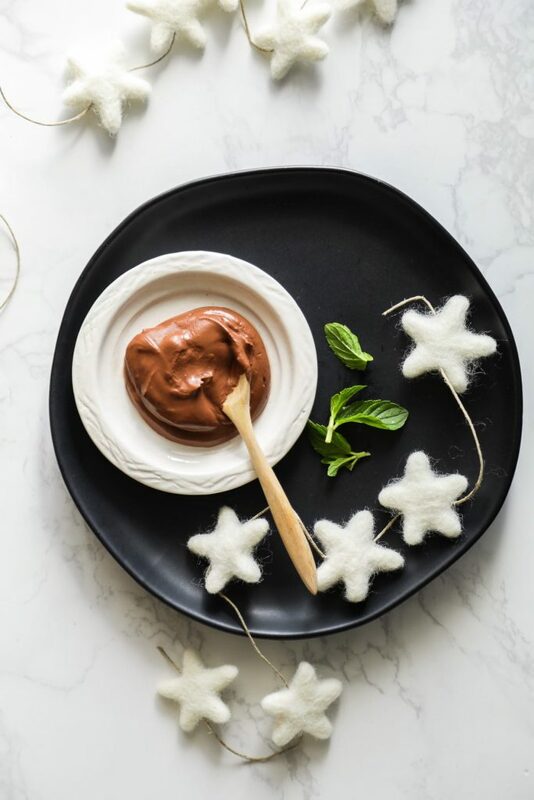 This face mask is made with cacao powder (AKA: chocolate), the same ingredient used to make homemade hot chocolate. Cacao is rich in antioxidants. Yogurt is added to help exfoliate the skin. Honey is added to help hydrate the skin. 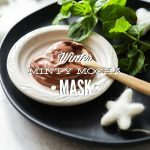 Finally, peppermint essential oil adds a seasonal scent and warm tingle to the mask. <–It’s my favorite part! You can eat this mask. It looks just like chocolate pudding and it does taste amazing. 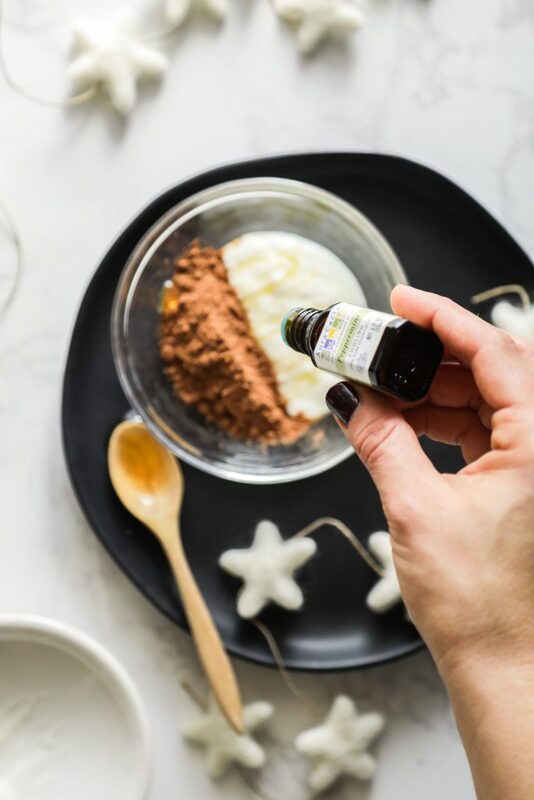 I personally don’t recommend ingesting essential oils (no matter what brand you choose to use), but everything else is 100% edible. When is the last time you purchased a mask from the store that made that claim? 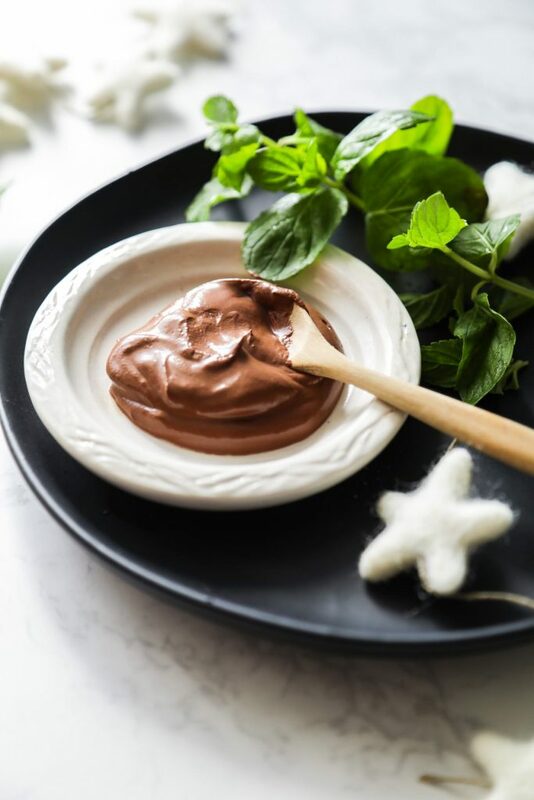 The next time you’re making homemade hot chocolate to share with your family, why not also make yourself a face mask? 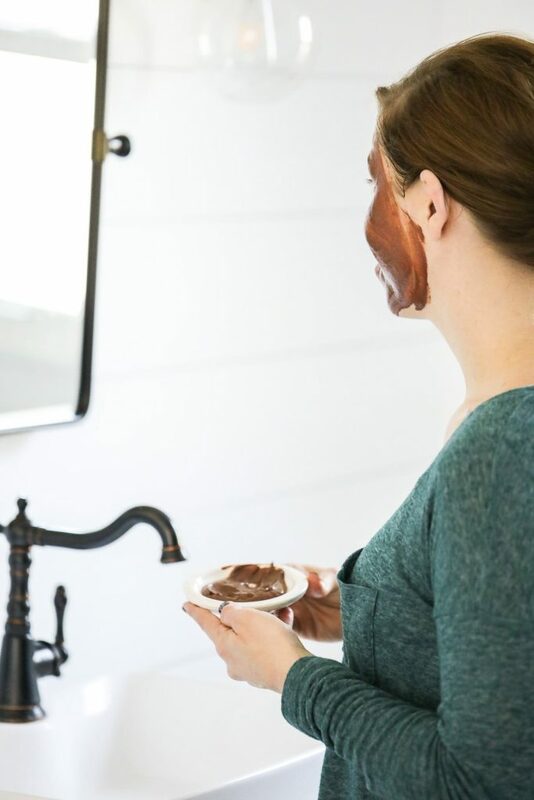 Hot chocolate and a chocolate face mask. That sounds like an incredible way to treat yourself for the holidays. 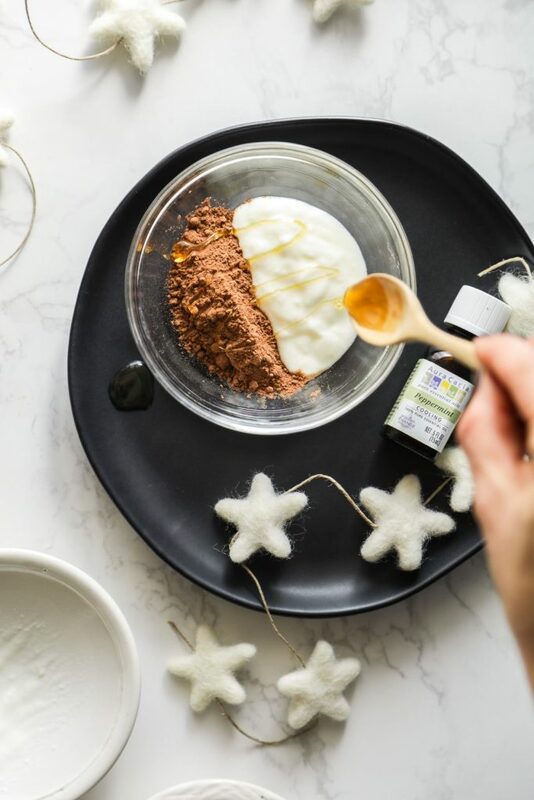 A seasonal face mask made with cacao powder, yogurt, and honey. A hydrating and exfoliating mask that's rich in antioxidants. 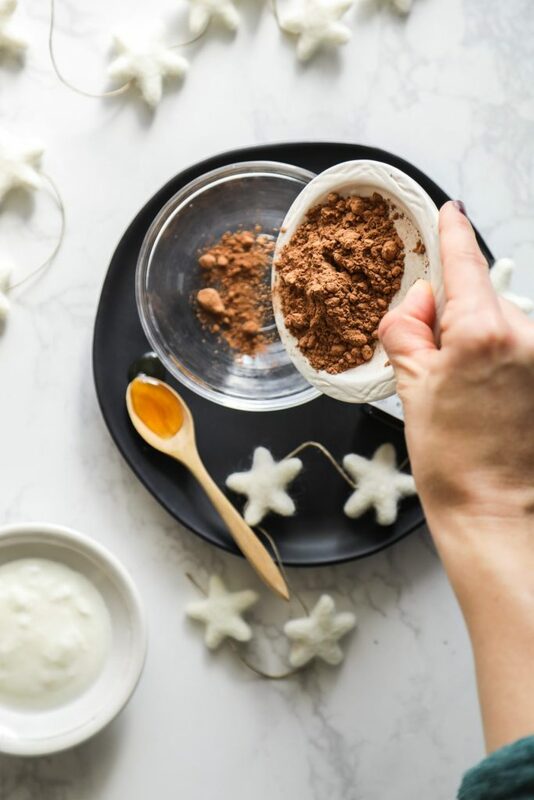 Add the cacao powder, yogurt, and honey to a small bowl. Stir until smooth. Add the essential oil, and stir. Apply the mask to the face using your fingers or a brush. Allow the mask to rest on your face for 5-10 minutes, until it begins to dry. Rinse with a warm, damp washcloth. I like to follow-up with toner and moisturizer. This recipe makes enough for two mask applications. Use a portion of the mask and store the rest in an air-tight container in the fridge. Use the mask within 4-5 days. If you don't have any peppermint essential oil, skip it. It definitely adds to the experience, but you can still make a beneficial mask without it. Every woman tries to do everything possible to look very young and beautiful.